At tennis in the sun all of our coaches are fully qualified, recognized and affiliated to there country’s governing body. All of our coaches carry a legitimate resident and working visa. Our coaches are from all parts of the globe, UK, Spain, US, France, Pakistan, India and most are bi-lingual speaking many languages. 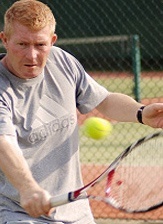 Daren is a level 4 LTA highly regarded coach and the head tennis coach at Tennis in the Sun. Daren has coached a number of national and international players including former British number 2 James Ward, he also played at satellite level and represented Middlesex at both junior and senior level. 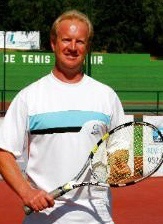 Having travelled both as a player and as a coach taking groups and individuals abroad to train and play tournaments, culminating in a fantastic few years as Tennis Director of Cumberland Lawn Tennis Club, Daren is now looking forward to welcoming you all to the sunny Algarve and the wonderful Carvoeiro Club! Tennis Coach and Director of his own Tennis Academy. Excelling as one of the best Juniors in Spain, Sergio started his career, playing on the ATP tour, playing all over the world, competing in Grand Slams such as Wimbledon and The U.S. Open. Best ranking in Spain 22. (1994.) Spanish Veteran’s Champion +35 2009. 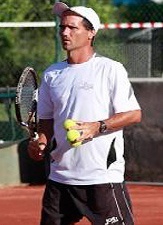 He has 14 years experience of tennis coaching in Marbella, Costa del Sol. He coaches all levels, although he specialises in teaching promising Juniors 10-15 years of age. Tennis coach and host, organiser of tennis mix-ins, ladies tennis coaching and tournaments. LTA & USPTR Qualified. 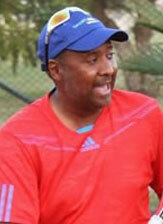 More than 20 years experience as a Tennis Coach and has been coaching for 15 years at Bel-Air Tennis Club. Head coach – Scot and his team offer a wide selection of coaching services, whether you are a beginner or an experienced player. Enrol in one of our dynamic group coaching clinics or take some private tuition. For the more competitive players we run regular tournaments and social tennis sessions that are great fun for players to participate in and what better way to meet new friends during your holiday.